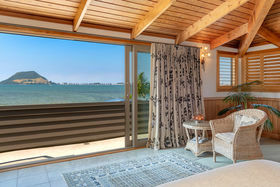 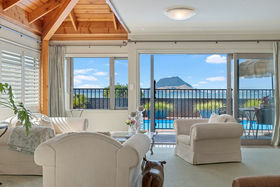 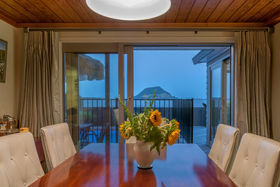 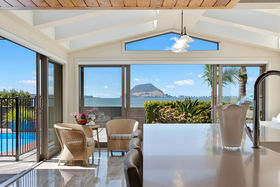 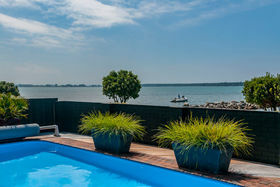 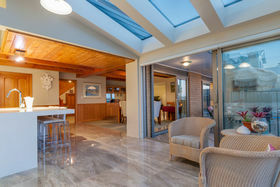 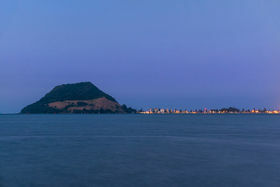 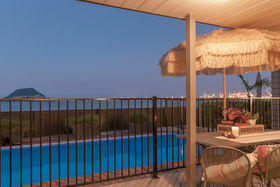 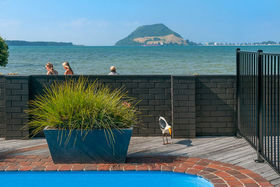 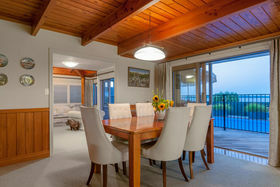 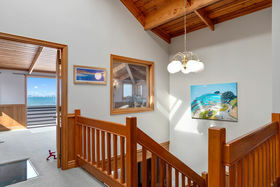 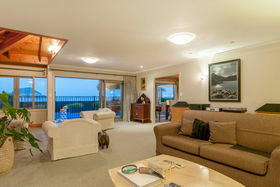 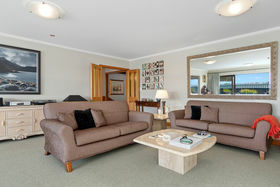 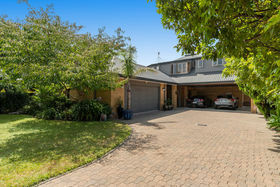 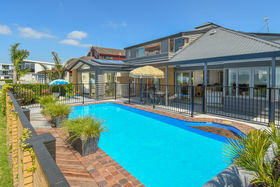 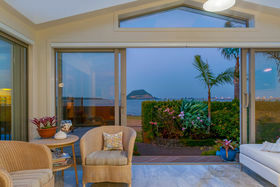 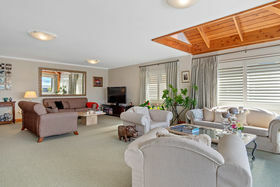 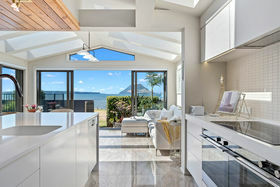 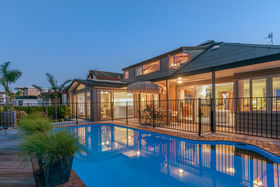 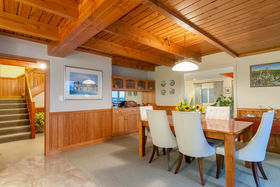 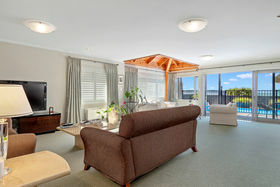 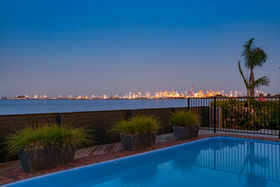 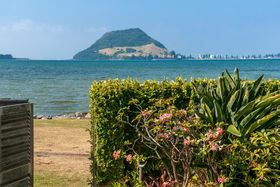 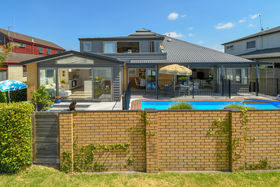 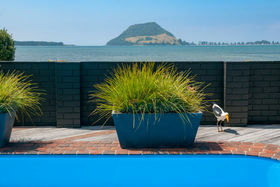 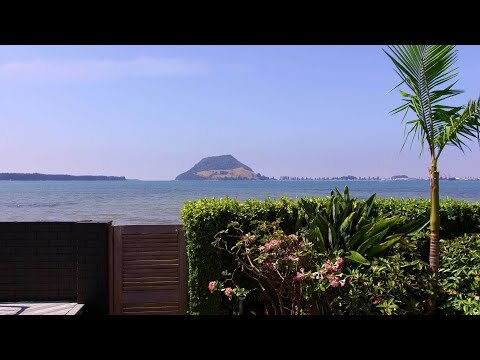 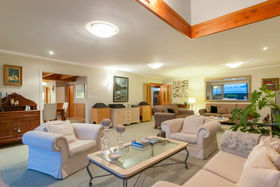 910sqm (approx), harbour front with panoramic view from the port, Mount to Matakana. 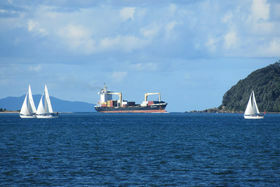 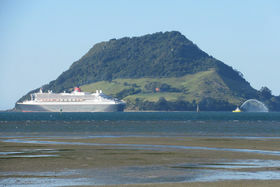 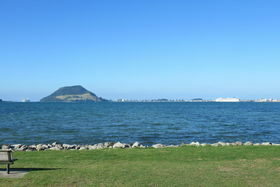 Mauao and harbour entrance in front. 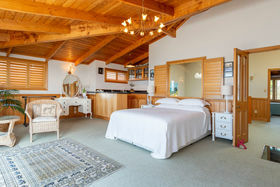 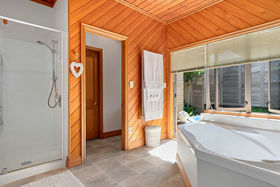 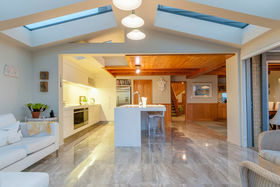 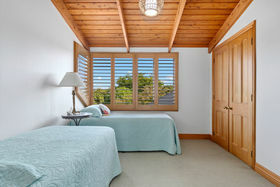 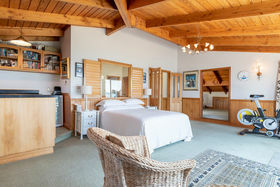 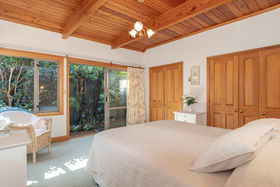 Character home, brick and cedar, double glazed, 2 levels, dominant use of rimu throughout on panelled walls, joinery and built-in furniture, plus macrocarpa in gabled ceilings. 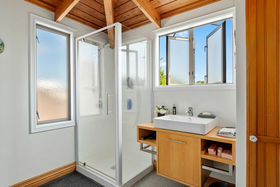 4 bedrooms, 2 bathrooms (bath in master ensuite) powder room. 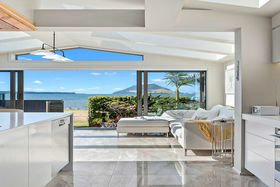 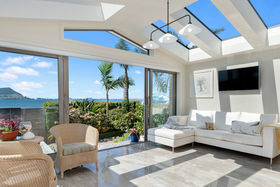 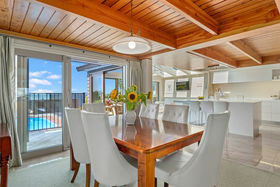 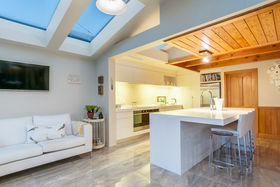 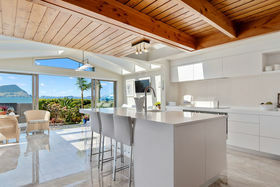 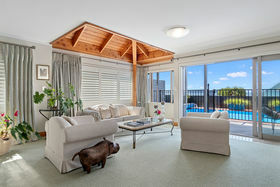 Gourmet kitchen includes island unit, Corian benches, scullery, double ovens, induction hob; gabled atrium lounge with block-out sun blinds; formal dining with built-in dresser, separate lounge with drapes and shutters. 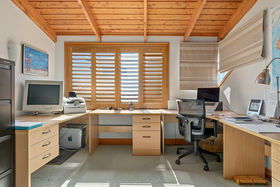 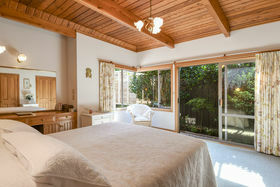 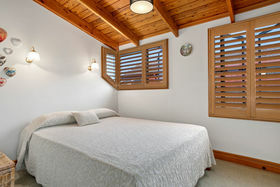 Study, separate laundry with shower, upstairs lounge with kitchen/bar, attic side room. 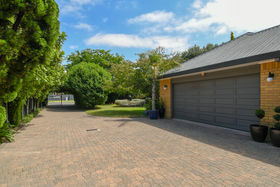 Separate H/W cylinders in laundry, master ensuite and upstairs bathroom, ample storage, double internal garage, double carport, off-street parking. 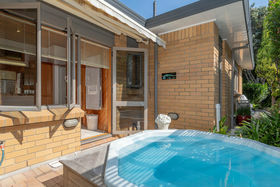 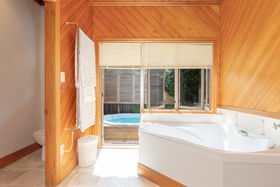 Spa off ensuite bathroom. 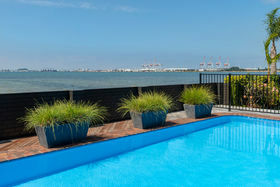 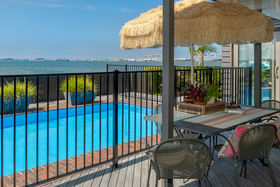 Solar-heated swimming pool. 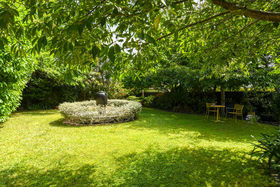 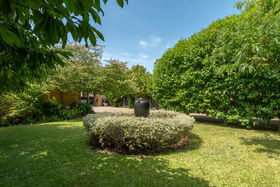 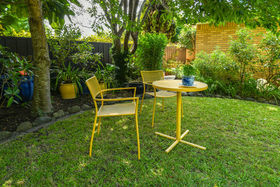 Significant outdoor flow and serene garden with natives, specimens and water feature. 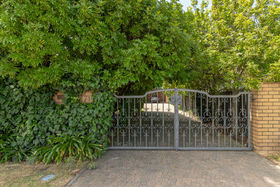 Security sensor at front gate. 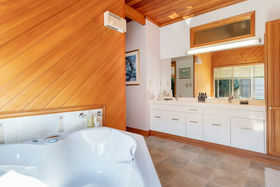 Loaded with features, heat pump gas mains, Rinnai gas heater. 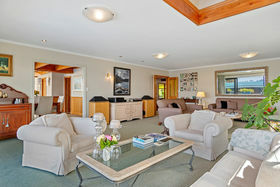 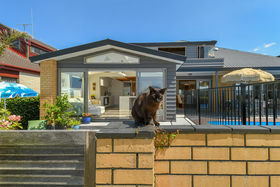 Open Home Sunday by Appointment, please phone Sue.